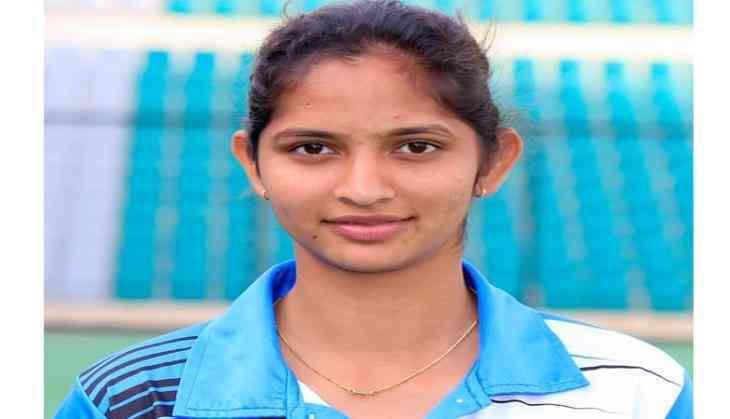 Indian women's hockey team midfielder Navjot Kaur completed the milestone of playing 100 international matches during her side's fourth Test of the five-match series against New Zealand here on Friday. Kaur made her international debut in 2012 in a series against New Zealand in Napier after showcasing talent in Junior Tournaments such as the Junior Asia Cup and International U-21 tournament in the Netherlands where India had finished third. Born in Kurukshetra, Kaur has climbed the ranks in National Team with significant performances. She was part of the team that excelled at the Hockey World League Semi-Finals 2015 taking India to the doorsteps of the Olympics. She also featured in the 17th Asian Games, 2016 Rio Olympics, 4th Women's Asian Champions Trophy and was also part of India's successful campaign at the Women's Hockey World League Round 2 in Canada. Md. Mushtaque Ahmad, Secretary General, Hockey India, congratulated Navjot Kaur on her 100th international appearance. "Navjot is a talented young player. She has proved her place in the team with several important performances and I congratulate her on completing her 100th international cap today. She has been an inspiration for young, budding players who are aspiring to take up hockey professionally. I wish her the very best for future matches," he said.